The European Union Satellite Centre (SatCen) is an Agency of the Council of the European Union (EU) whose mission is to support the decision making and actions of the EU in the field of the Common Foreign and Security Policy (CFSP) and in particular the Common Security and Defence Policy (CSDP), including EU crisis management missions and operations, by providing (at the request of the Council of the European Union or the High Representative of the European Union for Foreign Affairs and Security Policy) products and services resulting from the exploitation of relevant space assets and collateral data, including satellite and aerial imagery, and related services. 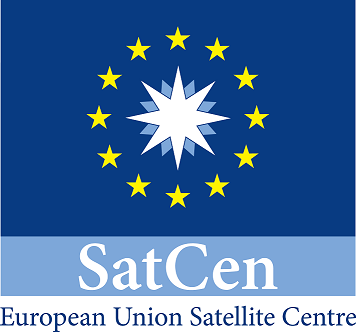 As such the EU SatCen is an institution linking Space and Security with technical and operational expertise as key primary user of satellite data as well as product and service provider in the framework of the Common Foreign and Security Policy. The EU SatCen is one of the EU agencies actively involved in Copernicus; in particular the EU SatCen contributed to the definition and pre-operational setup of the Copernicus Security Services (e.g. participating to FP7 projects such as BRIDGES, G-NEXT, G-SEXTANT, SAGRES and LOBOS), where it is foreseen to have a role in the Maritime Surveillance, Border Surveillance and Support to EU External Action services. The EU SatCen is a Copernicus Core User having access to Sentinels andvarious Contributing Missions data through the Copernicus Space Component Data Access (CSCDA).